One of the things that PDF does really well is portability – so well in fact that they decided to include it in the name (Portable Document Format). But a lot has changed since PDF was conceived in 1991, and in the age of the smartphone the definition has grown slightly. With high quality graphics or a large number of pages (or video), the size of a PDF file can quickly grow to be very large. PDF handles this very well – if you ask for page 500 it will go to the index to find the location of page 500 and go straight to it, skipping over pages 1 to 499. Much the same as humans use contents pages to find a topic and go straight to it – if you want to read page 10, you don’t have to read pages 1 to 9 first. This is fine when the PDF file is on your computer, but when viewing PDF from a website it’s a little more tricky because the content is streamed from start to end, and to gain access to the index you need to have the whole file. It’s a bit like you needing to know how to bake a cake and me handing you the recipe book one page at a time. You need to wait for me to give you all the pages in the book before you are able to access the index and find out which page you need to turn to. Adobe added a “Fast Web View” feature that allows a viewer to display some pages while the rest are loaded, but this is of limited use if the PDF has not been set up to use this feature. And what about if you just want to view a couple of the pages? Regardless of how much you need, the whole file will still get downloaded. If the readers of your magazine have slow internet connections or mobile phones and tablets with expensive data plans, this can be a big issue. Wouldn’t it be great if your reader could download only the pages they actually read, and if you could create bespoke versions at different quality or zoom levels to optimise for devices with smaller screens such as mobile phones? These are all features that we have thought about and included. 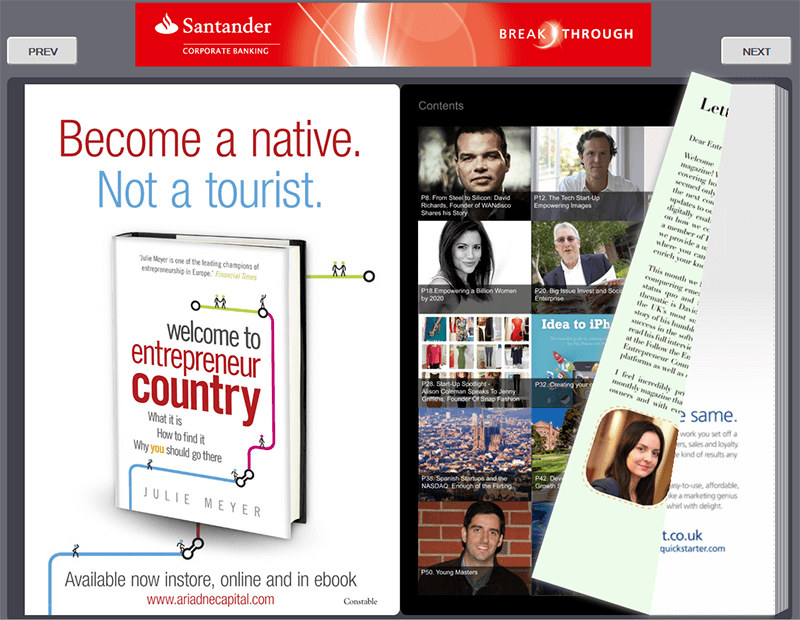 Why not try out some sample magazines on our free online PDF to HTML5 converter? We even have a mode that will make it look like a magazine and allow you turn the pages using your mouse (or finger on mobiles/tablets). You can see it in action here. This article is part 6 of a series where we talk about the advantages of publishing your PDF magazines online as HTML5. Click here to visit the index and see more advantages. « Drawing Java Components without displaying them. Your description of “fast web view” is not complete. Yes, the PDF file is rearranged so that all objects that belong to one page are in the same block in the file, and the XREF table (at least part of it) is stored at the beginning of the file, but that’s not all: Acrobat and Reader also make use of the “byte serving” capabilities of a web server. If your server is configure that way, your download will start with page 1, but you can navigate the file while it is being downloaded, and if you decide to jump to page 500, Acrobat or Reader will signal that to the web server, and will request a different segment of the PDF file. This means that you don’t have to download the whole file before you can start to work with it. Hope this helps to shed some light on one of the more obscure features of Acrobat. Thanks for clarifying, I have updated the relevant section of the article. It is of course all dependent on everything being set up correctly – which with the HTML you get for free!